These Just Like Dad baseball t-shirts are great for any young player who loves baseball. 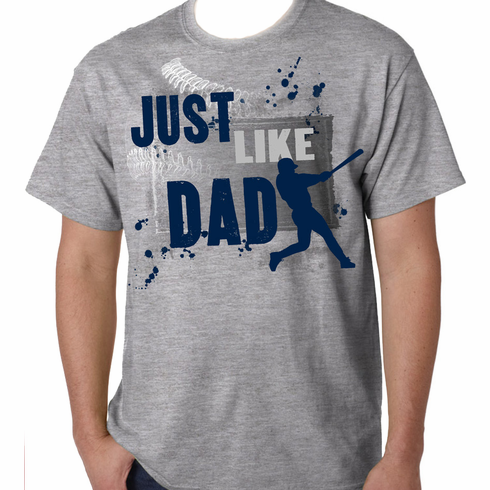 Just Like Dad graphic is screened on the front. 100% cotton.